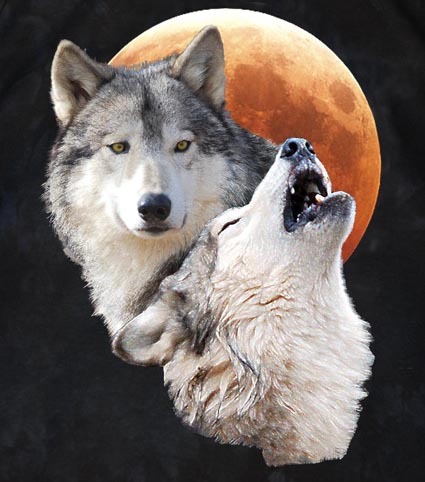 Our Rival Wolves t shirt features two of our Male Wolves, Waya and Niko Akni howling. During wolf courting season and continuing on into breeding season it is evident that these two males vie for the position of Beta Wolf in the pack. This Wolf t shirt is a Wolf Howl Animal Preserve exclusive. It is pre-washed, hand dyed and printed at the Preserve. This Wolf tee is made of 100% cotton. The inks and dyes used are environmentally friendly. Machine wash warm, tumble dry medium.